The Evergreen State College is an educational institution provided and maintained by the people of the state of Washington. 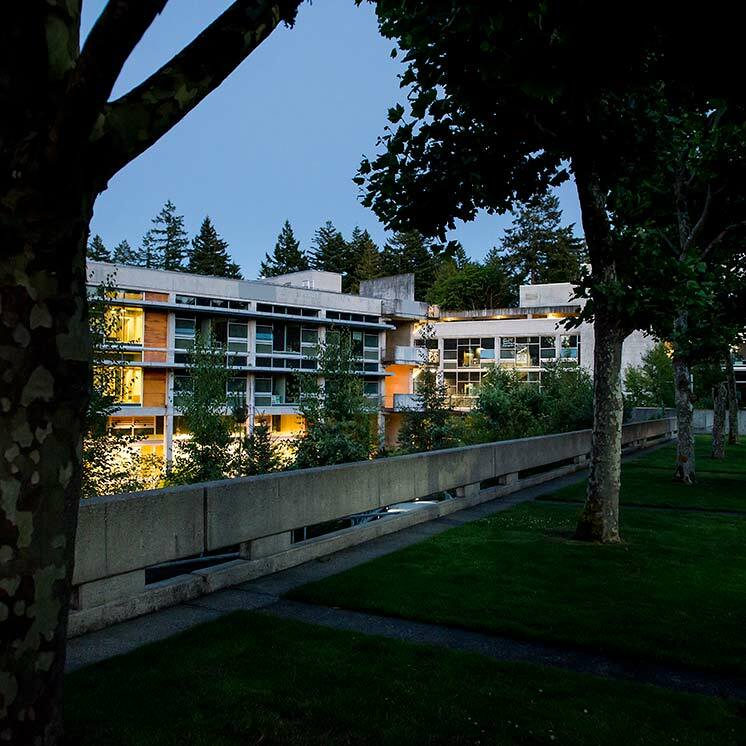 Scheduled use of campus buildings, properties and facilities shall give first priority in scheduling activities related to Evergreen's broad educational mission. In an effort to meet the broad mission, this policy establishes an understanding of current types of space, and the authority for confirming, and prioritizing the use of space and facilities on campus. Individuals, groups, or organizations may not use college facilities in ways which interfere with or are detrimental to the college’s teaching, research, public service, or support programs, or which interfere with the free flow of pedestrian or vehicular traffic or not in compliance with state ethics policy. College personnel responsible for scheduling use of campus buildings, properties and facilities. Schedulers will take into consideration such issues as: appropriate use, level of risk involved in the proposed event or activity; noise level; traffic flow; and conflict with activities in adjacent spaces. Schedulers should contact the Environmental Health and Safety Officer for an ADA and safety review if the scheduler has safety or ADA compliance concerns about a proposed event or activity. Schedulers should contact the Risk Assessment Review Team (RART) for evaluation and approval of any event that may have moderate to significant risk. Staff, students, volunteers, or faculty members may request a reservation of space on campus. Student requesters must be supported by a campus organization, office, or faculty sponsor in order to reserve space. In general community members do not have the ability to directly reserve space, with the exception of some spaces in the Library and Photo Services. Members of the public who wish to use other spaces must inquire with Conferences Services. General Classrooms are indoor classroom spaces with capacity of 20 or more and with no special equipment apart from AV in the following buildings across campus: Library, Seminar I, Science Laboratory I, Science Laboratory II, Purce Halls, Seminar II, Communications Building, and College Recreation Center. Scheduling of these spaces for credit generating offerings is by the Academic Deans Office in collaboration with the Facilities Space Management Office. Media facilities requiring proficiencies for individual or group use. Oversight of space by Academic Division. Library Proper is the Library, located in the Library Building, which provides two general classroom spaces and multiple non-classroom meeting spaces for studying. Oversight of space by Library Administration. Tacoma Campus has both indoor and outdoor spaces for credit generating and non-credit generating events/activities. Oversight of space by Tacoma Director. Administrative Spaces are indoor spaces within all buildings that include: board rooms and conference rooms; generally used for non-classroom meeting spaces. Oversight of these spaces by the office area in which the meeting spaces are located and Facilities Space Management Office. Interior Spaces are indoor spaces within all buildings that include: foyers and lobbies. Oversight of space by Facilities Space Management Office. Oversight of space by Facilities Space Management Office. Other Outdoor Spaces such as the bus loop, campus core, the beach, the forest, etc., are not reserved. The use of these outdoor spaces is governed by the Space and Land Use Group. Residential Housing Areas are indoor and outdoor spaces associated with student housing. Oversight of space by Residential Services. Restricted Spaces are spaces that are not scheduled and not available for general use; mechanical, facility shops and garage, Computing/Data/Network Closets, custodial, CUP, storage/services areas. Oversight of space by Facilities Space Management Office and Information Technology. Credit generating programs and courses are academic offerings planned and taught by faculty. Programs and course activities are scheduled during the following Academic Times. *Exact dates are specified in the academic calendar. ​​With the exception of the following times during Fall, Winter and Spring quarters when required program and course activities may not be scheduled. Any faculty request for a program or course schedule outside of the regular Academic Times requires prior approval from the Academic Deans. Scheduling of credit generating programs and courses is provided by the Academic Division (Academic Area Managers, Tacoma Director, and Academic Deans Office) following the Protocol for Scheduling Credit Generating Programs and Courses. College events are non-credit generating events and activities that have a primary purpose of benefiting the college and advancing its mission. These events are organized and sponsored by the administration, staff, faculty, or registered student organizations. Scheduling oversight of college related events and activities is provided by Facilities Space Management Office, following the Protocol for Scheduling College Related Events. When large college related events are open to the public, coordination with Conferences Services is recommended in order to facilitate communication with essential college operations such as Parking and Police Services. If there is an admission charge for a college related event there may be charges for the use of facilities and services, depending on the requirements for the event. Non-college events are events, activities and conferences that have a primary purpose of benefiting an external organization. Such events may or may not be organized or sponsored by members of the college community. These events may include, but are not limited to, commercial activities, conferences, community events, fundraisers, political events, and trainings. All use of campus facilities and services for non-college related events and activities are coordinated by Conference Services and must be governed by a facilities use agreement. All external users of campus facilities and services must be charged for the associated costs in support of the event as well as for overhead costs per RCW 28B.63. Conference Services will ensure quotes are received from area schedulers and departments that will be necessary to support the event. Such items could be technical staff, front of house staff, lab technician, student workers, custodial, etc. Conference Services will develop the facilities use agreement and any riders that covers the necessary terms and conditions and includes the fees/rates charged to the individual/organization. The facilities use agreement must include the requirement for the individual/organization to obtain a Certificate of Insurance of general liability insurance in the amount of $1,000,000 minimum coverage on each occurrence, listing the State of Washington, The Evergreen State College, and its Board of Trustees and employees as additional insured. Pursuant to RCW 28B.63 the college, as a state agency, must establish market rate pricing that takes into account the price of services in the private marketplace. Conference Services will work in collaboration with area schedulers and facilities department to establish rental rate schedules and revenue distribution for non-college related events. Conference Services will conduct client billing and revenue distribution for all non-college related events in which Conference Services has coordinated the facilities/services on behalf of the client. Non-College Related Events Sponsored by Evergreen Faculty and Staff. Any non-college related event sponsored by an Evergreen staff, faculty member in their capacity as an Evergreen employee, must have a direct benefit to the college. Such events must have prior approval from the employee’s supervisor and budget authority. Approved sponsored non-college events may still be subject to rental fees and the recovery of direct costs to support the event. These events may still be subject to a facilities use agreement, including the need for a Certificate of Insurance. Conference Services will schedule space for use by vendors for commercial purposes. Vendors must pay a fee, setup in designated spaces, and sign a vendor agreement which will determine the terms and conditions between the college and the vendor. Terms and conditions may include restrictions in the products/services sold by the vendor. The vendor agreement may also apply to events/activities that have commercial vendors as a component of the event/activity. Scheduling oversight of non-college related events, activities and conferences is provided by Conference Services, following the Protocol for Scheduling Non-college Related Events. At other times or for nonacademic spaces, priority for scheduling is on a first come first served basis, depending on the nature of the activity and appropriate space, with college events taking first priority over non-college related events. Space is assigned and confirmed by schedulers in specific offices overseeing the different types of space. Schedulers will follow scheduling priorities for spaces within their oversight based on category of event and proposed use as defined by the scheduling protocols for each of the three categories of event. Schedulers will adhere to a start time that begins on the hour or half hour and end time that allows for 10 minute transition period. Exceptions to the general priority of use during regular academic times in academic spaces for major college events and activities requires approval by the Vice Presidents, based on recommendations from the Space and Land Use Group. Such events are listed in Appendix A. The Space and Land Use Group reviews this list annually and makes any recommended changes to the Vice Presidents by March 1st of each year. Schedule Evergreen - (Event and activities scheduling) Webpage – will be created.